Yey, its Ice Cream Sunday and time to take mom out for Mothers Day. With another beautiful day ahead take out the bikes and include a little trail riding to the day activities. Also, view the new Minnesota Bike/Hike Guide and remember to register for the Root River Bluff & Valley Bicycle Tour. There are always fun, new rides coming up. This entry was posted in News and tagged #nextbikeadventure, bike tiour, explore Minnesota, Family Bike Ride, ice cream smile, Mothers day, mountain bike ride, Sunday bike ride, trail ride on May 14, 2017 by Russ Lowthian. 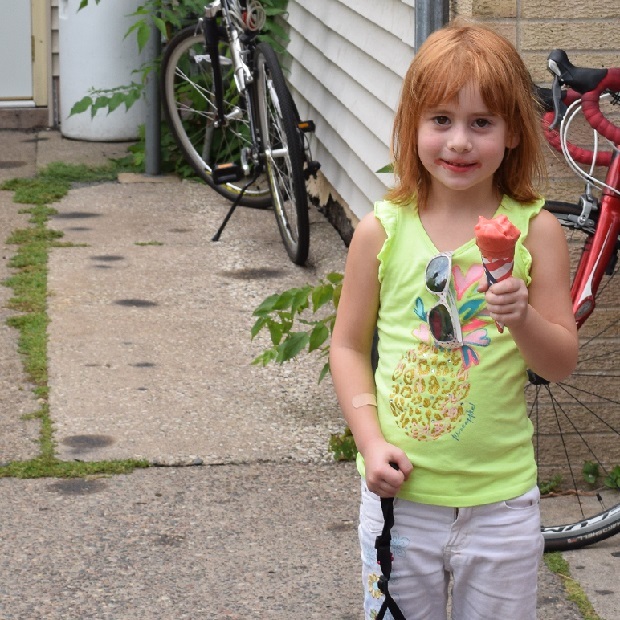 Making a stop on her bike at the local Ice cream shop in Mankato, this young cyclist favors a color of a cool treat flavor that just about matches the color of her hair. Located in the scenic Minnesota River Valley the Mankato area offers many fun bike riding and hospitality opportunities in the area. A year round bike destination check out the fun at the Mankato River Ramble, October 11, 2016. See more places to ride and explore in the new Minnesota Bike/Hike Guide. Now, rolling into our 10th year as a bicycle tourism media our goal is to continue to encourage more people to bike, while showcasing unforgettable places to ride. As HFB searches and presents more fun cycling related photos, worth a grin, scroll through the information and stories we have posted that may help you find your next adventure. Then, while out there if you see us along a paved or mountain bike trail, next to the route you regularly commute on, or at an event you plan to attend, be prepared to smile. You never know where our camera’s will be and what we will post next! As HaveFunBiking continues to encourage more people to ride, please reference our blog and the annual print and quarterly digital Minnesota Bike/Hike Guide to find your next adventure. We are proud of the updated – At-a-Glance information and maps we are known for at the HFB Destination section on our website and in the guide. Now, as the Guide goes into its seventh year of production, we are adding a whole new dimension of information, now available for mobile devices. 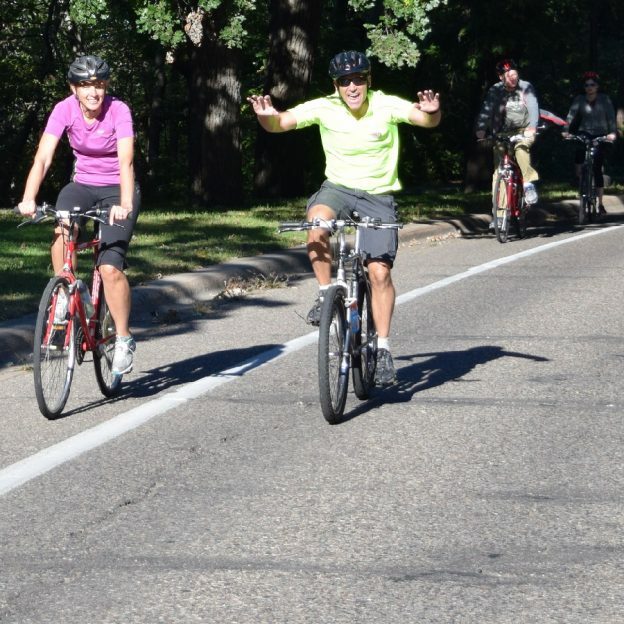 This entry was posted in News and tagged #FindYourNextAdventure, #onlyinMN, bike friendly Mankato, community bike event, ice cream smile, state bike trails on March 11, 2016 by Russ Lowthian. Bike Pic Jan. 15, ice cream smiles Friday! 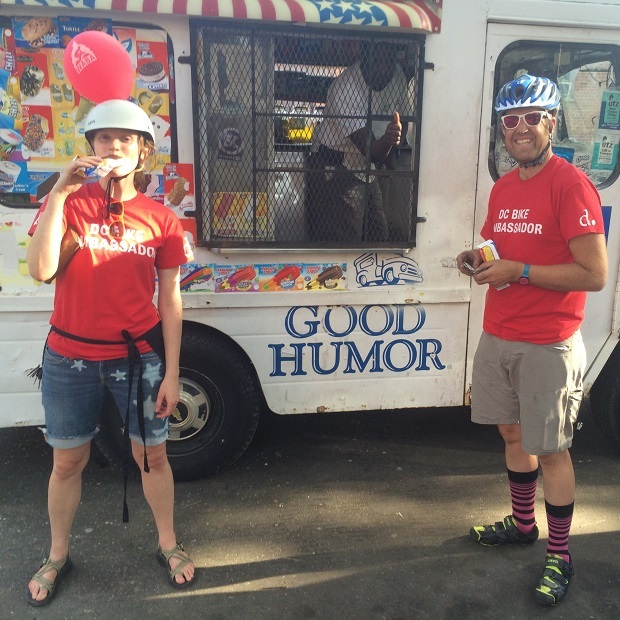 This entry was posted in News and tagged #FindYourNextAdventure, DC bike advocates, fun bike photo opp., ice cream bicyclists photo, ice cream smile, Washington Area Bike Association on January 15, 2016 by Russ Lowthian.